Greenham is a UK leading Safety and Workplace supplier, part of Bunzl plc, a global FTSE 100 company. We can provide local choice with a national voice through our network of Service Centres which can be found across the UK, as well as our Corporate Accounts team who can look after customer requirements at a national level. Each Service Centre is made up of a Sales Office, a Warehouse and a Trade Shop which is open to the public. 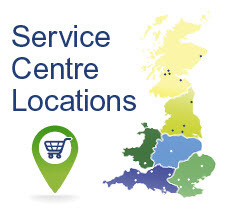 Each Service Centre will hold stock locally of agreed items which means you get the products you need when you need them. Try our call-collect option if you need things in a hurry. Visit any of our Service Centres to meet the team who are there to offer friendly and helpful advice on our extensive range of products and services. Everyone has the right to return home safe at the end of the working day. This is why we are committed to making sure that our products and knowledge is Protecting People Everyday. As part of our mission to protect people everyday, we put customers at the heart of everything we do. We do more than just supply Personal Protective Equipment (PPE), Cleaning and Hygiene Supplies and Contractor’s Site Equipment, we will go that extra mile to ensure your safety. We are at the forefront of helping customers comply with the new PPE Regulations; ensuring that we are compliant at every stage of its implementation on your behalf. We will always be ahead of the game in keeping you safe at work. We are more than just a supplier of protective clothing and equipment. We partner with many organisations to ensure you can get the best service and customer experience. From FaceFit respiratory testing and tailored ear defence testing to prescription eyewear services, we can offer everything to keep your workforce safe. We have partnered with Ejendals to provide the FootStop Service at our Service Centres. This helps to prevent injuries that can occur if the foot is loaded in the wrong way. This system analyses your feet and recommends corrective insoles to help prevent future injuries. It’s fast and easy to analyse your feet and gives immediate results. We also offer a personalised garment branding and embroidery service on a wide range of clothing and accessories to enhance and protect your corporate identity. As part of our mission to work towards a greener future, we can offer you secure disposal and recycling of your PPE. 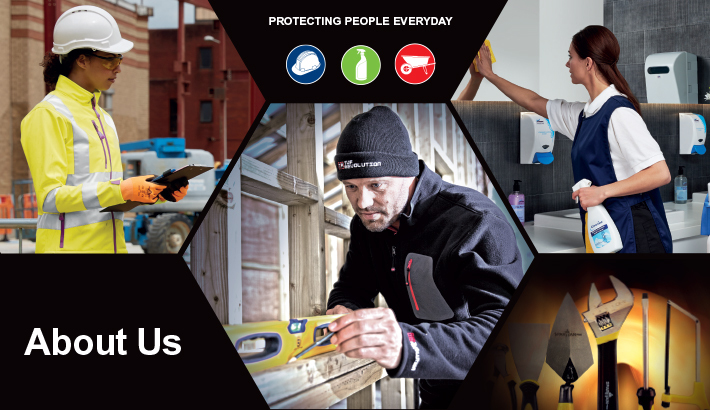 Providing safety products and advice to help prevent accidents in the workplace, we ensure that the products we supply meet all the required legal and professional industry standards, ensuring you and your employees are kept safe and complaint. The British Safety Industry Federation (BSIF) is firmly established as the major independent voice of the British safety industry, helping to both influence legislation and provide industry in general with a source of authoritative information on a range of workplace safety issues, while representing the needs of its members. Safety Schemes in Procurement (SSIP) was developed as an umbrella body to give confidence to Buyers that their suppliers have been assessed to the Construction Design and Management Regulations 2015 as well as the SSIP core criteria. This standard is recognised by the HSE and accreditation schemes that have quality assurance processes. We work in partnership with SATRA, who have comprehensive facilities for testing the physical, chemical, environmental and flammability properties of materials and consumer products. Housed in modern temperature the humidity controlled laboratories, SATRA test a variety of materials. The Cleaning & Hygiene Supplier Association (CHSA) has driven up standards. All members adhere to the code of practice and the Manufacturing Standards. Suppliers are internally audited on all of their products, labels and quality control procedures conducted by the Scheme’s Independent Inspector. Achilles brings together rigorously pre-qualified suppliers with buyers working in the same regions and industries. This means our customers can drive procurement with decisions that are backed up by detailed, relevant, up-to-date information about us – and maintain this transparency throughout our relationship. Greenham achieved 100% across all three sections (environmental, quality and H&S). Constructionline work with over 10,000 buyers from nearly 4,000 organisations across the public and private sectors. The Constructionline team validates all of its members, providing Buyers with a pool of high-quality Suppliers that they can confidently engage with. REMA is the trade association for manufacturers of retroreflective traffic safety products which are used mainly on the highway but are also to be found at airports, industrial sites and sports grounds. The products provide visual information, day and night, for both permanent and temporary traffic needs. This is a tool for responsible investors to identify and invest in companies that meet globally recognised corporate responsibility standards. We are the first and only true safety company to achieve gold status for the supply chain sustainability school. This covers topics from Waste & Carbon, Fairness Inclusion and Respect and The Modern Slavery Act as well as many more sustainability issues. FORS is a voluntary accreditation scheme encompassing all aspects of safety, fuel efficiency, vehicle emissions and improved operations. This allows us to measure and monitor our performance and, if necessary, alter our operations to ensure best practice.